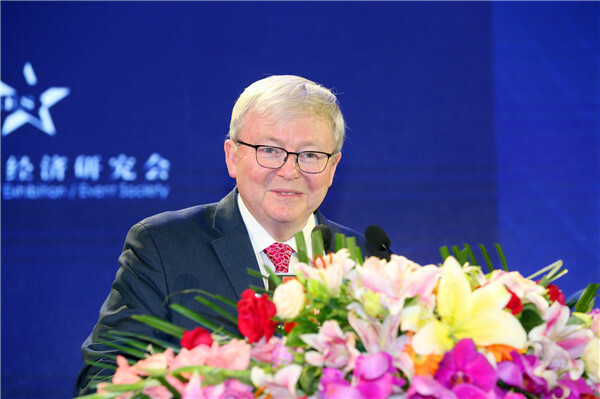 Mr. Kevin Rudd, the 26th Prime Minister of Australia, will attend Tongwei·2018 12th Brand China Annual. Tongwei·2018 12th Brand China Annual will be held in Chengdu from August 7th to 9th, which attracts government officials, prominent business leaders and brand enterprises in various industries from home and abroad. As the total crown famous status of the festival, Tongwei Group will fully participate and show the powerful strength and brand image, to promote the industrialization and internationalization of Chinese brand. Brand China Annual, which is called as “China Brand Olympic Games”, is a grand and large-scale brand festival, and regularly held on August 8th every year. It is the first time to hold the festival in Chengdu. During the 12th Brand China Annual, international dignitaries and national leaders will visit Global Intelligent Manufacturing Demonstration Base of Tongwei Solar Co., Ltd. to feel the charm of intelligent manufacturing. More wonderful contents will be exposed in Tongwei·2018 12th Brand China Annual. Previous: Chairman Liu Hanyuan Attended Purchase & Sales Department Mid-year Summary Meeting of Yongxiang Co., Ltd.
Next: Mr. Guan Ruijie, President of PICCAPIAC, Inspected Care Pet Food Co., Ltd.